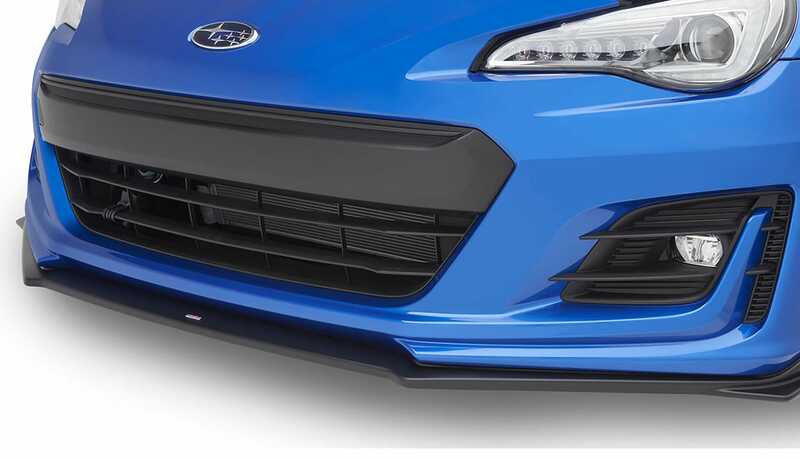 STI Front Under Spoiler gives the BRZ a mean, ground-hugging look. 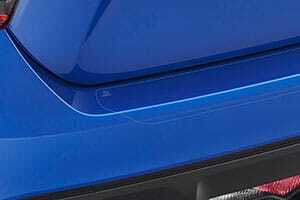 Continue the mean ground-hugging look down the rocker panels of the BRZ. 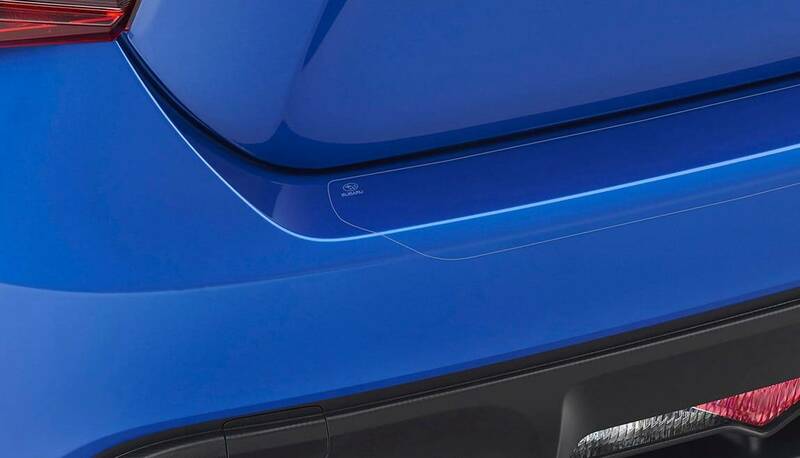 Kit includes both left and right side under spoilers. 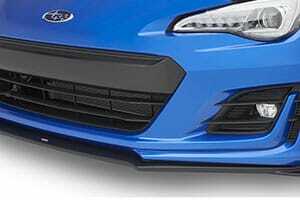 Complete the look on the side of the BRZ with the addition of the rear quarter under spoilers. 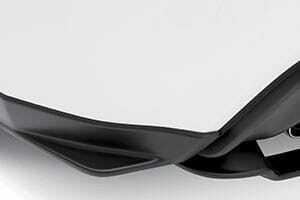 Kit includes both left and right rear quarter under spoilers. 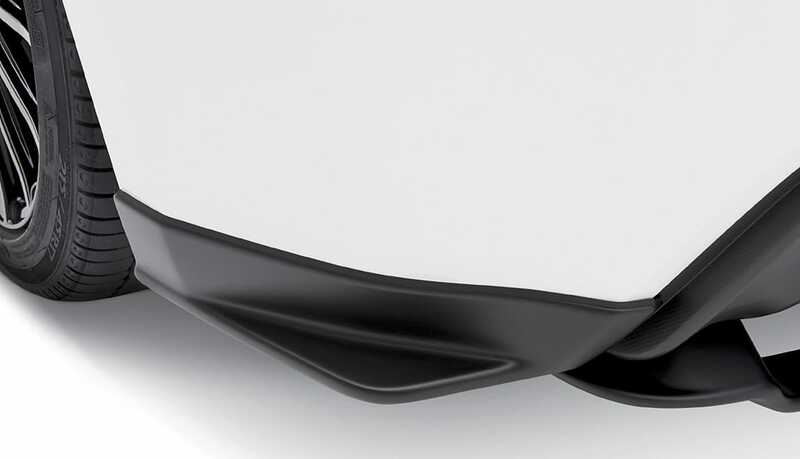 Lower rear body panel helps to direct airflow and adds a sculpted finishing touch to the BRZ lower rear body line. 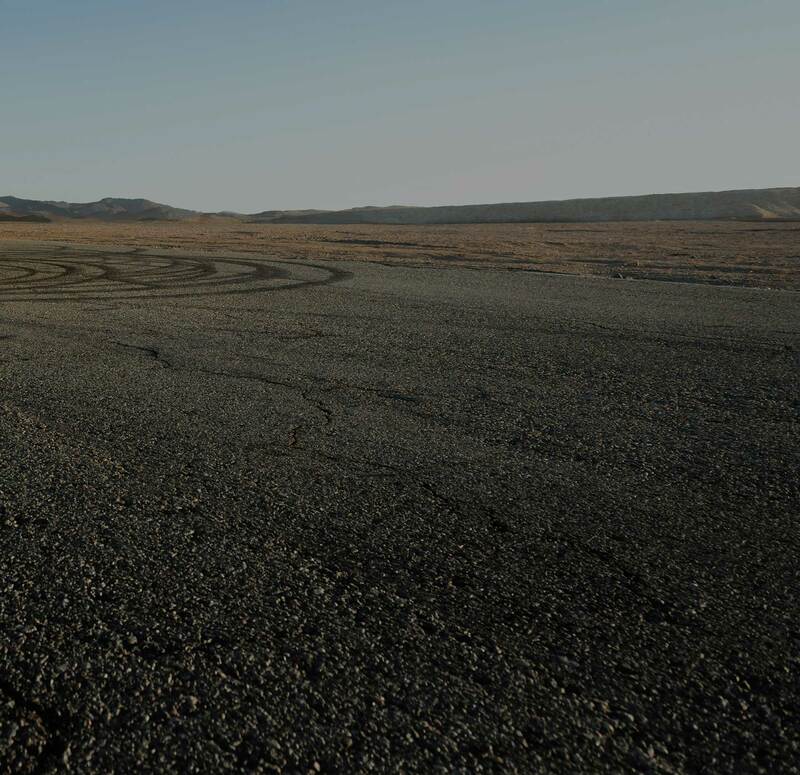 Helps protect the trunk area from stains and dirt while providing a surface that helps reduce the shifting of cargo while driving. 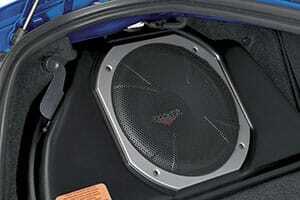 Cannot be used with the Subwoofer. 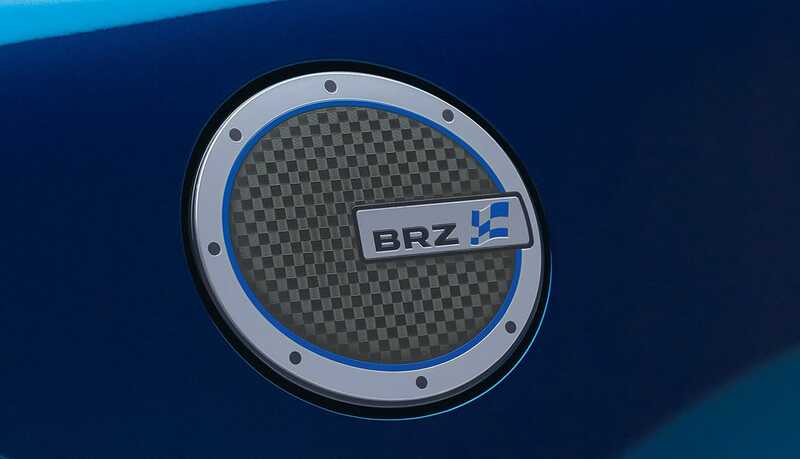 Give your BRZ a sportier look by adding a touch of personalization with this chrome-plated fuel door cover. 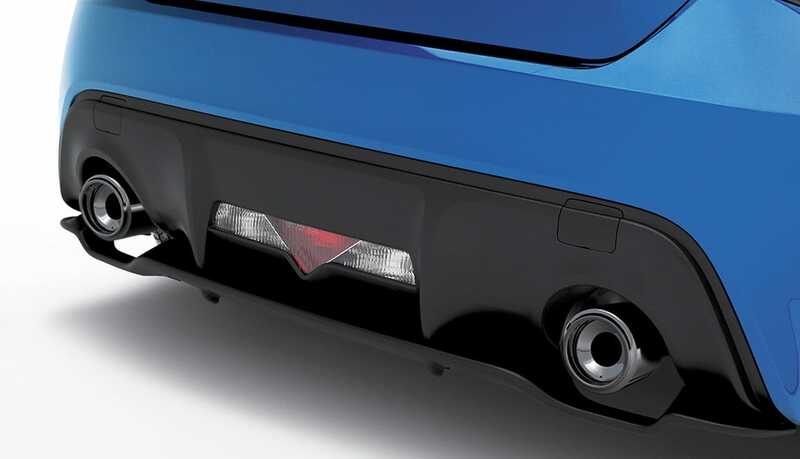 Casts a soft blue or red glow onto the front floor area. 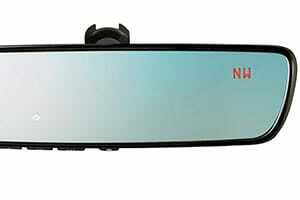 Clear, scratch-resistant vinyl film helps to protect bumper upper surface and leading edge. 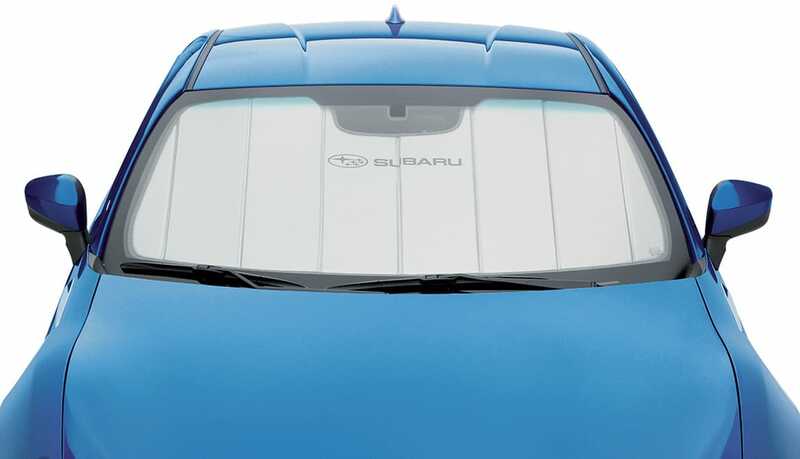 Includes a discreet pearl-colored Subaru logo. 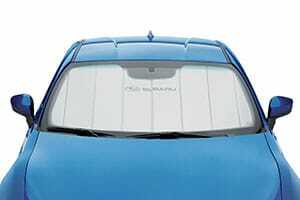 The foldable sunshade offers a triple layer of protection to help reduce vehicle temperature up to 40 degrees. 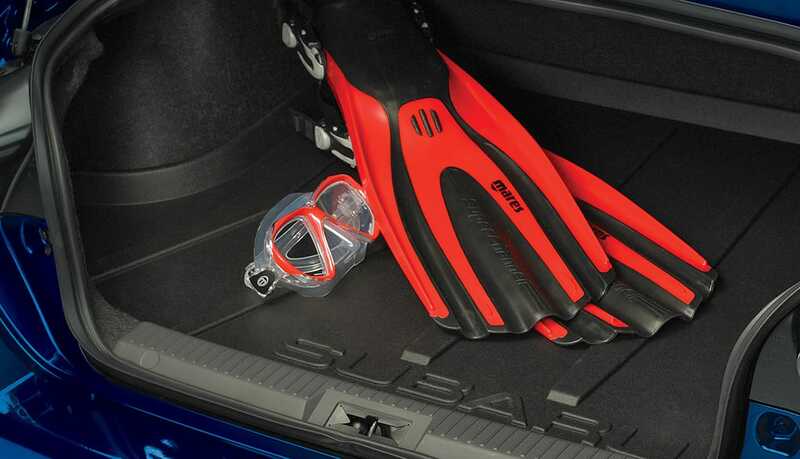 Custom-cut to fit properly, it includes a handy storage bag. 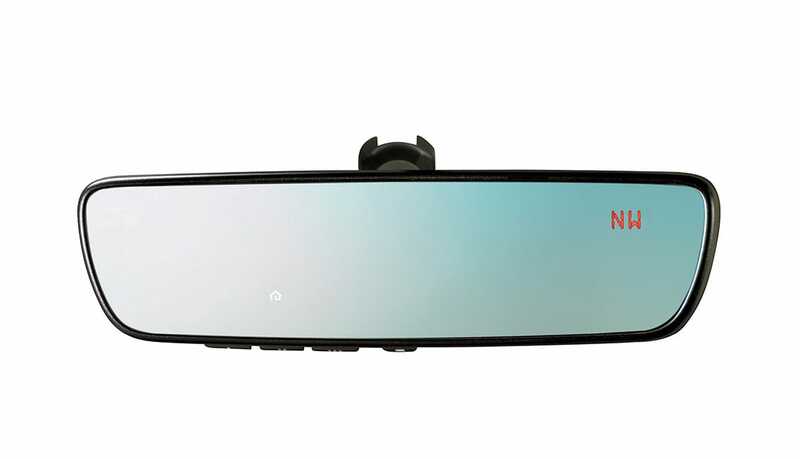 This upgraded auto-dimming mirror detects glare and darkens automatically to protect your vision while featuring an 8-point digital compass. Three backlit HomeLink® buttons can be programmed to operate most garage doors, security gates, home lighting and more. 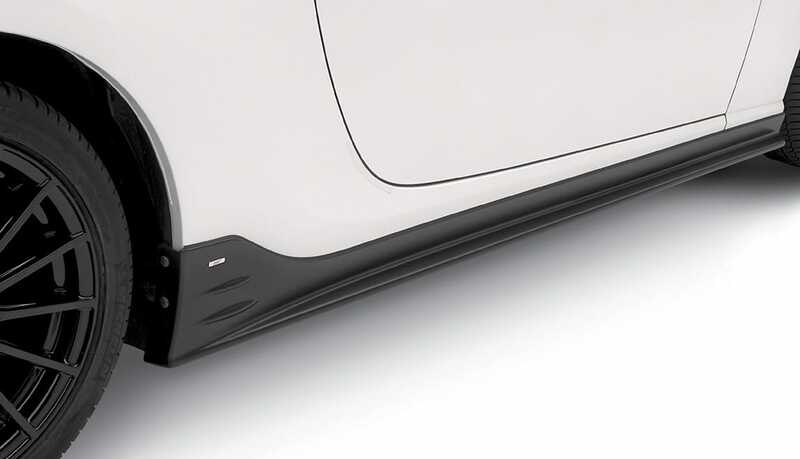 Can also provide you with the last status of your garage door (open or closed) if programmed to a compatible opener featuring two-way communication. 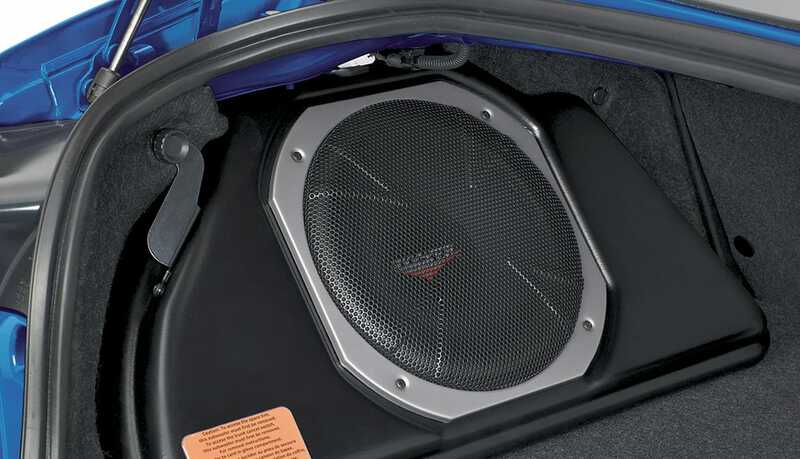 Provides powerful, deep bass and also assists in clean sound reproduction from all vehicle speakers. 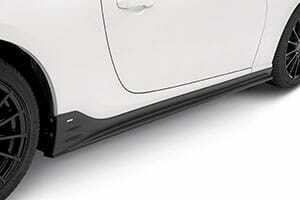 This is achieved by its integrated 100W amplifier and a passive crossover network. 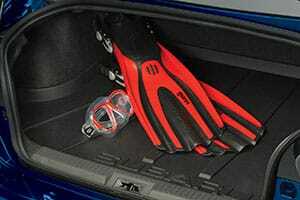 The self-contained unit mounts in the trunk. 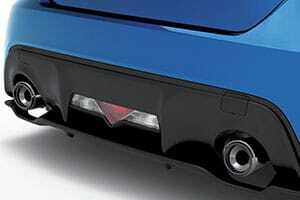 Manufactured for Subaru of America by Kicker.® Cannot be installed with Cargo Tray. 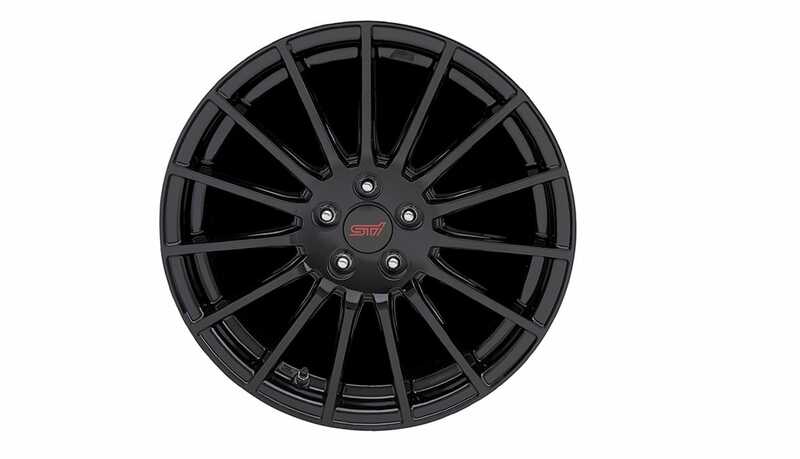 The 17-inch 15-spoke STI alloy wheel set helps to give the BRZ the perfect blend of attitude and style, combined with improved handling performance and steering precision due to the reduced weight of the alloy when compared to the stock alloy wheels. 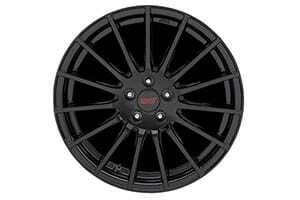 The wheels are finished in black and finished off with STI-branded center caps.